If you are looking for an app that could create a simple or complex recurring event such as cycle based event which is not available on the default iPhone calendar, then look no further. You no longer have to create a new event for every recurrence. This app creates just one event with all the desired recurrences. It lets you manage all the recurrences of a particular event. With this app any changes to an event attribute (such as time, calendar, alarms, location etc.) can propagate to all its recurrences. No more tedious work of changing each recurrence attribute just because it doesn't occur "daily, weekly, month or yearly". (1)This app allows the you to define the interval of the recurring event. Example: A recurring event that happens every "2 days", "3 day" etc..
(2) Create recurring events with specified exception dates. Example: Every day between "May 11th" and "April 12th" except on "Sundays" and "May 17th". (3) If a the recurrence occurs on an exception day. You have the choice to reschedule the recurrence to the next possible day or to exclude the recurrence. (4) If an exception date occurs before the next scheduled recurrence. You have the choice to postpone the recurrence. Example: An event "Piano Lessons" that occurs April 17 an April 25. If April 23 is an exception date, Pocket scheduler gives to the option to move the piano class to April 26. (3) If however your schedule has no set pattern this app also presents you with a calendar view. 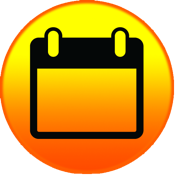 The user simply needs to pick all the dates the event occurs and push create and the event is created in the iPhone calendar app. All events created in this app are pushed to the iPhone calendar, with alarms if desired. This help keep all your schedules in one place and sync them to all your other devices.